Breathe everyone, Bitcoin and all its crypto-offspring aren’t going anywhere! In an effort to better understand the current status of Bitcoin, let’s take a glance at the historical markers rather than the face-value claims presented by the woes of pompous uncertainty. Near the end of 2017, many who plunged into Bitcoin were handsomely rewarded with heaping helpings of gains, profits and wealth galore. This also introduced an entirely new view of the financial and economic landscape which in turn, raised concerns leading into 2018. There’s no doubt that stability’s atop the list of concerns raised by John Q. Public. Spite gobs of negative press, Debbie downers, and the A-typical FUD peddlers, Bitcoin’s continued movement forward demonstrates ongoing success on behalf of these concerns. It goes without saying that the results experienced within this economic shift have been astonishing. However, this type of change is encapsulated by a fancy buzzword that may also offer a source of measurement in an effort to interpret the current status. Coined in 1995, “disruptive innovation” is being linked with Bitcoin’s continued growth and impact on the global market. According to Wikipedia, Disruptive Innovation is described when, “an innovation that creates a new market and value network and eventually disrupts an existing market and value network, displacing established market-leading firms, products, and alliances”. In consideration of the current status, Bitcoin being referred to as a “Disruptive Innovation”, certainly should be considered as a positive uptick especially when we think back to Bitcoin Pizza Day. (On May 22, 2010, Laszlo Hanyecz agreed to pay 10,000 BTC for a pizza reflecting a current value exceeding 80 Million dollars… yea that really happened). What’s the Average Value of Bitcoin in 2018? That’s a great question! We’ve put our BTC hamsters to work on this question and determined that the average value of Bitcoin through-out 2018 was, $7,890.20. 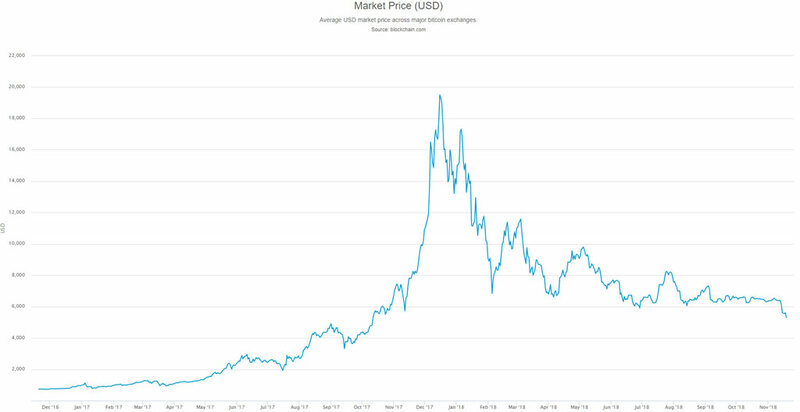 **** Values presented are based on a snapshot taken from blockchain.com and referenced peaks taken during the last 10-calendar months, (Feb. 18, 2018 – Nov. 18, 2018). 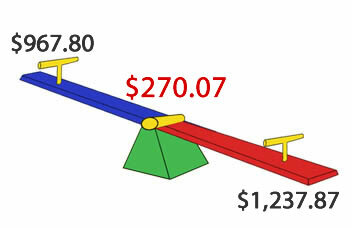 In further observation, the difference between the “high” and “lows” average fluctuation was $270.07. Of course, many are taking into account the enormous price wave experienced in October 2017 through January 2018. There’s no mistake in stating that many were reaping enormous gains as well many who stayed idle and may have some sour feelings. However, instances such as massive price surges are in-part why concerns were raised about stability and volatility. If you consider the fundamental principals behind an economic structure, it makes sense that checks and balances are established, monitored and adjusted for the betterment of this financial landscape. Will there be more Bitcoin surges? The short answer is YES, absolutely, and change doesn’t happen overnight! Keep in mind that it took many years to slant the entire financial world so that the 1% could thrive! At the end of the day, Bitcoin, as well as other cryptos are young and full of incredible potential. With prices lowering, now is never a better time to invest in Bitcoin as well many of the cryptocurrencies out there. Don’t delay, the journey forward continues!